These terms and conditions ("T&Cs") are applicable to your use of 'Amazon Pay balance: Money'. 'Amazon Pay balance: Money' is the branding for the semi closed loop pre-paid stored value account issued by Amazon Pay (India) Private Limited (formerly known as Amazon Online Distribution Services Private Limited), a private limited company registered under the Companies Act, 1956 having its registered office at 8th Floor, Brigade Gateway, 26/1, Dr. Raj Kumar Road Bangalore, Karnataka ("Amazon"). For the purpose of these T&Cs, 'Amazon Pay balance: Money' is hereinafter referred to as "Amazon Pay balance/wallet account". Amazon is authorized by the Reserve Bank of India ("RBI") to issue and operate semi-closed pre-paid payment instruments in India (including Amazon Pay balance) in accordance with the provisions of the Payment and Settlement Systems Act, 2007 and directions and regulations framed thereunder, as amended from time to time. By registering for or using Amazon Pay balance, you signify your agreement to be bound by these T&Cs. Further details on our terms and conditions can be attained from the FAQ page on our website. Registration for Amazon Pay balance. At the time of onboarding you will be required to provide minimum details such as mobile number(verified through OTP), name and identification number for any Officially Valid Document as mentioned under Prevention of Money Laundering Rules, 2005 and related amendments. You will be allowed to use only one wallet account at any given point of time. 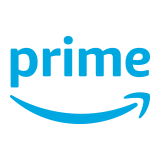 This is a reloadable product and can be used for only purchasing goods & services from merchants registered with Amazon, in a manner prescribed under these terms and conditions and as communicated by Amazon from time to time. Limits - You will be able to load in such SVA Lite wallet accounts maximum INR 10,000/- per month and maximum INR 1,00,000/- in a financial year. In addition, the available balance in such SVA Lite wallet account shall not exceed INR 10,000 at any given point of time. The same balance will be available for purchases from merchants. You will not be able to transfer money from such SVA Lite wallet accounts to other Amazon Pay balance accounts and bank accounts. The only time you can transfer money out of this wallet account is at the point of closure of your wallet account; at which point you would be required to transfer money to your own bank account post providing required bank account proof of ownership and after completing your Know Your Customer; or transfer money 'back to source' (payment source from where the money was loaded). Existing SVA Lite customers who hold balance of INR 10,000/- or more currently will not be allowed to perform any further load till such balances reach below the INR 10,000/- threshold. You will be allowed to perform debit transactions in SVA Lite wallets accounts upto a maximum of Rs 10,000/- per month. You have the option to fix a cap on number and value of transactions and you will be allowed to change the caps, with additional authentication and validation. You will be required to provide requisite Know Your Customer (KYC) information/documentation to Amazon prior to completion of one year of creation of such account or as per applicable laws. If you fail to complete your KYC, no further credit shall be allowed in your wallet account. However, you will be able to use the balance available in your wallet account. You can also register your SVA Max wallet account or convert your existing SVA Lite account into a SVA Max account by providing the requisite KYC documentation to Amazon. Except as provided below, the restrictions and features described under SVA Lite wallet account above shall apply mutatis mutandis to SVA Max account. For completion of this KYC verification process, Amazon may provide you the option to submit your physical documents manually, such as proof of address, proof of identity, Permanent Account Number (PAN) and your photograph, or through any other prescribed mechanism. Limits – You will be able to load money in such SVA Max account upto a maximum of INR 100,000/-. The available balance in such SVA Max wallet account shall not exceed INR 100,000 at any given point of time. Currently, the same balance will be available only for purchases from merchants registered with Amazon. For your convenience, you can logon to the wallet account by using your login credentials issued by Amazon.in only. You may log out from wallet account by logging out of Amazon.in account. Load your Amazon Pay balance. 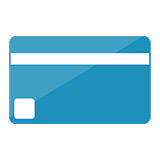 Amazon Pay balance can be loaded through online payment methods such as domestic credit/debit card and net banking. However, you will not be able to use prepaid cards, EMI, cards issued outside India or a combination of cards to add/load amount to your Amazon Pay balance. You may also be provided the option to load Amazon Pay balance by cash through Amazon Transportation Services Private Limited (“ATSPL”) registered at Eros Corporate Tower, Eros Plaza, Ground floor, Opp. Nehru Place Metro station, Nehru Place, Delhi -110019 (contact number: 011 47985600) and other agents authorized by Amazon and as intimated to you from time to time. Such loads will be as per the prescribed limits for SVA Lite and SVA Max, mentioned under these T&Cs and as provided by RBI from time to time. Except as provided hereunder, amount in your Amazon Pay balance will not be refunded to you under any circumstances. No refund will be provided in cash, at any point of time. No interest will be paid on your wallet account balance at any point of time. Amazon Pay balance may only be redeemed towards the purchase of eligible products offered by merchants on Amazon.in and other payment aggregator/partner / merchant websites that accept Amazon Pay balance as a payment method ("Merchant Websites"). Amount of purchases will be deducted from your Amazon Pay balance. No cash withdrawal will be permitted at any point in time, to any customer. Amazon reserves its right, in its sole discretion and without any prior notice, to impose and/or revise charges/commissions in relation to the use of your Amazon Pay balance. The current charges for your Amazon Pay balance, if any, will be detailed at https://www.amazon.in/gp/help/customer/display.html?nodeId=202135170 . The Amazon Pay balance wallet account will be valid for an indefinite period, any changes to the same will be communicated by updating these terms and conditions. In the event Amazon prescribes a validity period of the Amazon Pay balance wallet account, the unused balances after the expiry of such wallet account will be forfeited in accordance with the applicable regulations. As mentioned above, SVA Lite account will be valid for a period of one (1) year from the date of issue/activation or as per timelines prescribed under applicable laws, post which you will be required to upgrade your account by providing requisite KYC information/documentation to Amazon. In cases where you do not perform any financial transactions on the wallet account for a consecutive period of 1 (one) year, the wallet account will be considered inactive. In such cases, Amazon will inform you at least 45 days prior to such date to either transact using the wallet account or utilize any outstanding balances in the wallet account. Where you wish to reactivate such account, you will have to contact us through our customer care details as mentioned under these T&Cs and comply with applicable validation norms, as prescribed by Amazon. You are obligated to use the Amazon Pay balance product only as per the provisions of these T&Cs and norms prescribed by Amazon from time to time. Any activity in contravention of such provisions may lead to suspension of the Amazon Pay balance wallet account. During such period your ability to use the wallet account will be restricted, as prescribed by Amazon. Further you will have the option of closing such wallet account. You can close the Amazon Pay balance account and transfer the outstanding amount to your own bank account or to the payment source from where the amount was loaded. For such closure request, we may require you to furnish additional information (including bank account details) and complete your KYC. You agree and acknowledge that Amazon is only a facilitator and is not and cannot be a party to or control in any manner any transactions relating to purchase of goods and/or services using Amazon Pay balance on the Merchant Website. Amazon shall not be liable / responsible for any defect in the product / merchandise / goods or services purchased / availed using Amazon Pay balance. Amazon shall not mediate or resolve any dispute or disagreement between you and the banks, sellers, merchants or manufacturers of the products/services. Any dispute or claim regarding the product / merchandise / goods or services purchased / availed on the Merchant Websites using Amazon Pay balance must be resolved with the merchants, sellers or manufacturers. While Amazon endeavors to process your Amazon Pay balance transactions in a timely manner , please note that there may be certain scenarios when the transactions don't immediately reflect in your Amazon Pay balance. You should register and maintain only one Amazon Pay balance account and shall not use Amazon Pay balance to undertake any foreign exchange transactions. Where the mobile phone being used to access Amazon Pay balance gets stolen/lost, you are required to immediately inform Amazon about the same. Such complaint can be reported at the customer care as mentioned under these T&Cs. Amazon reserves the right to restrict transaction on such account, in order to prevent any unauthorized usage of the Amazon Pay balance. 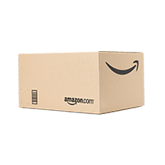 In case of change in mobile number or in case of any change in the information/documents provided to Amazon at the time of onboarding, you are required to intimate Amazon immediately. Amazon will not be liable for any fraudulent transactions undertaken prior to intimation to Amazon about the change in your details. These terms and conditions are governed by and construed in accordance with the laws of India. You agree to submit to the exclusive jurisdiction of the courts at Bangalore. You agree to indemnify Amazon for all claims brought by a third party against it or its affiliates arising out of or in connection with a breach of any of these T&Cs and your use of Amazon Pay balance. AMAZON PAY BALANCE, AND ALL INFORMATION, CONTENT, MATERIALS, AND SERVICES INCLUDED ON OR OTHERWISE MADE AVAILABLE TO YOU ARE PROVIDED BY AMAZON ON AN "AS IS" AND "AS AVAILABLE" BASIS, UNLESS OTHERWISE SPECIFIED IN WRITING. AMAZON DISCLAIMS ALL RESPRESENTATIONS OR WARRANTIES, EXPRESS OR IMPLIED, WITH RESPECT TO THE OPERATION OF AMAZON PAY BALANCE, INCLUDING WITHOUT LIMITATION, ANY EXPRESS OR IMPLIED REPRESENTATION OR WARRANTY OF MERCHANTABILITY OR FITNESS FOR A PARTICULAR PURPOSE. IF APPLICABLE LAW DOES NOT ALLOW LIMITATIONS ON IMPLIED WARRANTIES OR THE EXCLUSION OR LIMITATION OF CERTAIN DAMAGES, SOME OR ALL OF THE ABOVE DISCLAIMERS, EXCLUSIONS, OR LIMITATIONS MAY NOT APPLY TO YOU, AND YOU MAY HAVE ADDITIONAL RIGHTS. IN NO EVENT WILL AMAZON OR ITS DIRECTORS, OFFICERS, EMPLOYEES, AGENTS OR OTHER REPRESENTATIVES BE LIABLE FOR ANY INDIRECT, SPECIAL, INCIDENTAL, CONSEQUENTIAL, OR PUNITIVE DAMAGES, OR ANY OTHER DAMAGES OF ANY KIND, ARISING OUT OF OR RELATED TO AMAZON PAY BALANCE. Amazon reserves the right to make changes to these T&Cs governing Amazon Pay balance, at any time, in its sole discretion. All terms and conditions are applicable to the extent permitted by law. Please refer the 'Last Updated' legend in theses T&Cs for the date of the last update to these T&Cs. By continuing usage of Amazon Pay balance, You agree to be bound by such changes/revisions. Information can also be attained from the FAQ page on our website. You could direct any questions, comments or complaints related to Amazon Pay balance at https://www.amazon.in/gp/help/customer/display.html?nodeId=202134240. Where you are not satisfied with the redressal given through the abovementioned modes, you can contact our Grievance Redressal Officer, details available at https://www.amazon.in/gp/help/customer/display.html?nodeId=202134240, and above in these T&Cs.